Committed to innovation, we bring forth the efficient Full Automatic Chapati Making Machine. The capacity of making more than 3000 thousand chapattis in an hour makes Full Automatic Chapati Making Machine highly desirable in commercial kitchens. Our Full Automatic Chapati Making Machine is designed to benefit users in terms of productivity and cost as well. 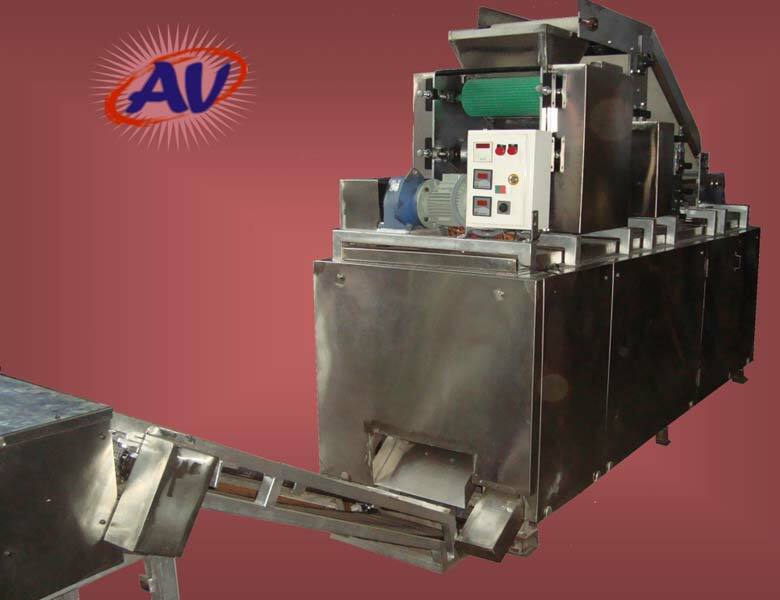 Full Automatic Chapati Making Machine is easy to maintain and promises longer service life. Automatic Powder Flour Sprinkler : Provides thin layer of dry flour over the sheet of Dough to avoid any kind of sticking to the rollers and cutter. Three Stage Cooking : The Chapattis are cooked properly on both sides with help of three stage cooking system. Helical Geared Motor : Our machines have helical geared motor instead of Worm type Gear box. The helical gear box delivers higher torque and lesser load on motor. Optional Pick up conveyor : Helps to lift the chapattis from bottom of the machine to a workable height. Cutter can be changed easily to cut different sizes and shapes such as elliptical square/triangle shapes that can be used to produce other products like pitta bread, gol gappas, samosa cuttings etc.